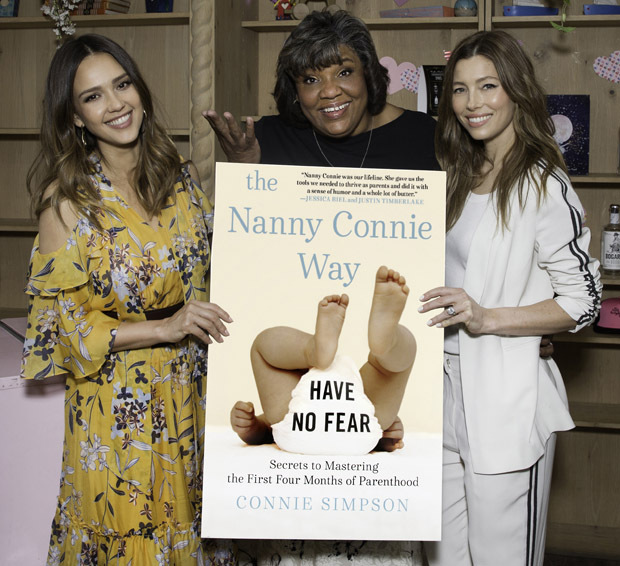 Jessica Alba and Jessica Biel co-hosted the launch celebration for ‘The Nanny Connie Way: Secrets to Mastering the First Four Months of Parenthood’ by Nanny Connie Simpson at Au Fudge in LA on Monday (April 23). While the two Jessicas couldn’t have been wearing more different looks, it was lovely to see each celebrating her own vision of relaxed-chic style for the day. 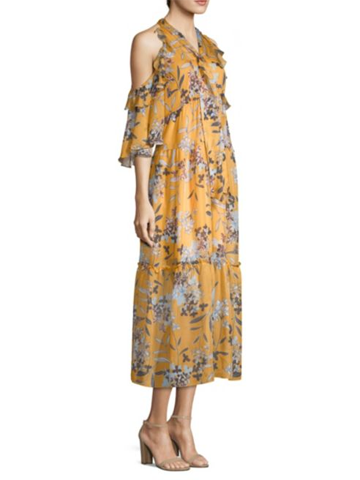 For Jessica Alba, that meant a more frilly, feminine mood in this Shoshanna ‘Elena’ floral-print, cold-shoulder dress that had a beautiful bohemian mood. I’m not sure the extra-wide belt was a necessity, but it did accomplish its waist-defining goal. The look was styled with Pierre Hardy ‘Maxi Candy’ sandals. I also liked how Jessica Biel elevated her Brunello Cucinelli athleisure-inspired racing stripes with a sharp pair of pumps to offer plenty of sass to the casual suiting.